Baptist Minister & civil right activist. 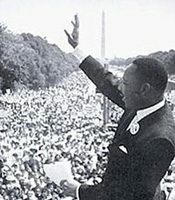 Famous speach 'I have a dream' : 28 August 1963. 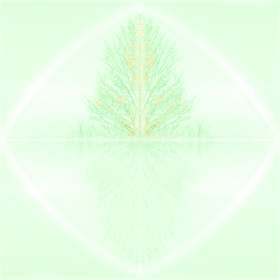 Solstice axis across the 3-9th Houses: his believes caused difficult challenges and struggles. Data sources : A - AstroDatabank says 12h, Jim Lewis rectified to 11h21. Above picture: 'I Have a dream'. Shot on 4th April 1968 (18h01, Memphis). He died at 19h05. - Note how Mars stays out-of-bounds all along! - At the age of 34 (1963), he speaks his dream when progressed OOB Moon occults progressed Mars. - Jupiter and Neptune not only form a trine at birth, but are also parallel. This double hit aspect shows the big dream. - Early 1929, all Moon-Jupiter conjunctions happen to be occultations -close to his natal Taurus Ascendant-. - He died in 1969 when progressed Full Moon moved parallel to Taurus Jupiter and Virgo Neptune. Mercury becomes Retrograde on Jan. 29th at 24° Aquarius to return Direct on Feb. 2nd at 9° Aquarius.